The PRINT® Survey is a proprietary, dynamic online instrument that identifies your PRINT. What makes this self-assessment so accurate is no two people take the same survey! Each new question is selected based on how you answered the previous question. The PRINT Survey takes 10-15 minutes to complete and, since it’s available online, you can access the questions 24/7. 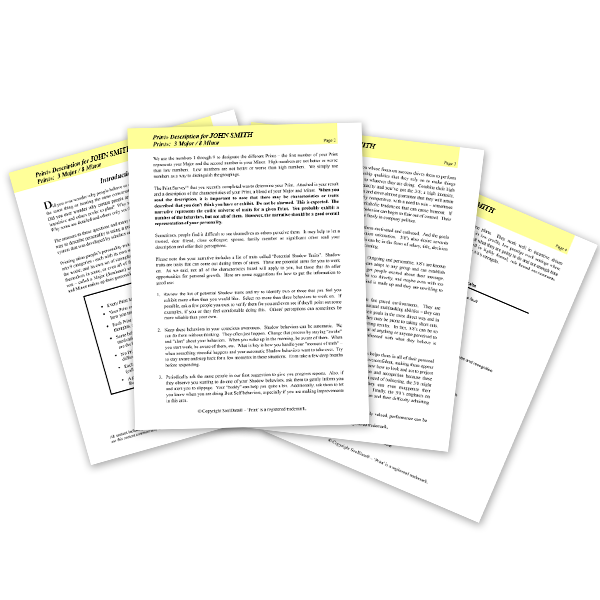 Within seconds of completing your survey, you get an easy-to-read, 2- to 4-page PRINT write-up. This assessment is emailed and can be shared with a coach, recruiter or any other designated individual. Your PRINT report outlines your Unconscious Motivators, revealing what you look like when these are satisfied (your Best Self) and not satisfied (your Stressed or Shadow Self). You also receive your tailored Trigger Report. 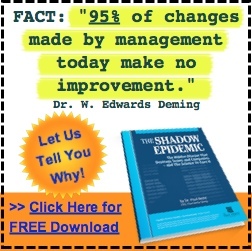 This report uncovers the environmental factors – others’ actions and situations around you – that can feel like an attack on your Unconscious Motivators and bring out your Shadow tendencies. Obviously, you should avoid these Triggers. But, of course, you need to know what they are in order to avoid them, right? The PRINT Survey groups your personality traits (along with the whys behind these traits) into nine categories. Each one encompasses a unique way of thinking, feeling and behaving; view of the world; and set of strengths and potential weaknesses. You may see parts of yourself in some or even all the groupings. However, two always fit you better than the rest – these are called your Major (dominant) and Minor (secondary). The combination of your Major and Minor make up your personality type, or PRINT, of which there are 72 in total. Every PRINT has unique strengths and weaknesses. 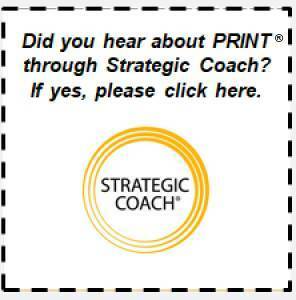 Your PRINT explains your view of the world – how you look at things and respond to people/situations. Each person has an Unconscious Motivator™ that drives the beliefs, thoughts, emotions and actions. Some behaviors are common among two or more PRINTs, but the motivation behind the behaviors are different. Unconscious Motivators are the key to truly understanding PRINT behavior. No PRINT is better than others. Your PRINT is not good or bad – just different. You have strengths (called “Best Self”) and potential weaknesses (called “Shadow”) that are unique to you. Your natural state is Best Self. But sometimes Shadow replaces Best Self as your automatic default, particularly under stress.